We are conveniently located off the interstate in a quaint small town. The hotel is located near three MSAs-Meridian (22 Miles), Jackson (60 Miles) and Laurel (60 Miles). The hotel offers non-smoking rooms upon request. Rooms include a microwave and refrigerator for your convenience while traveling. The hotel offers free local calls and all phones are equipped with a dataport. There is a bar-b-que pit on-premises for guest use. Complimentary coffee is served in the lobby between 7AM-10AM. The well lit parking lot can accommodate big RVs and trucks. 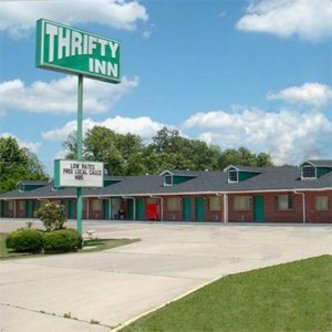 There are several restaurants and 24HR convenience stores within 1/4 mile radius of the motel.